I’m ashamed to say that it took me this long to visit some of the most beautiful small towns in New York. I’ve lived in Manhattan, made a few annual trips to New York for the past five or so years, claimed that New York is one of my favorite states, and somehow, I never took it upon myself to see the small towns. I used to be a big-city obsessed girl. But when I moved to Texas, I fell head-over-heels in love with its small towns. So last year, I made it my mission to take in the state as a whole. 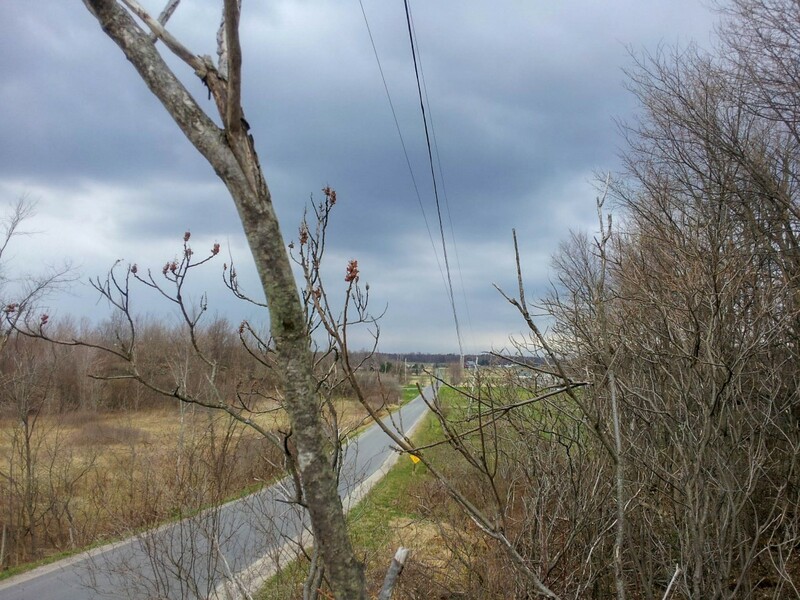 I wanted to venture beyond Hudson and actually explore central and upstate New York. 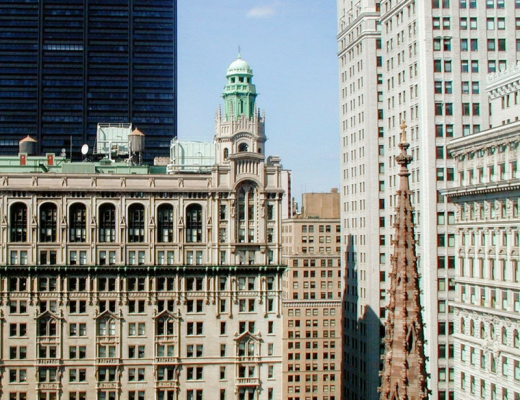 New York is a diverse state, a Jekyll and Hyde mix of relaxing and hectic. 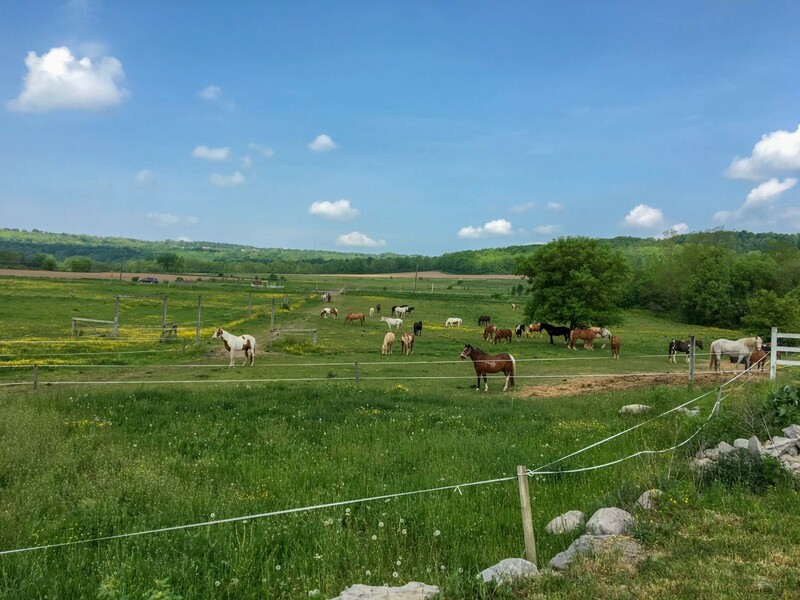 And today, I want to show you a different side of New York, one that’s calm, breezy, and bucolic. So without further ado, here are the best small towns in New York. A little part of me begs to stay in New York City forever. Another part of me shakes its head furiously. No, Anshula. That’s not fair to New York. NYC is the witch’s gingerbread house in Hansel and Gretel. Fast-paced and seductive, it’s an addictive site. Fun. Crazy. Touristy. To be honest, I could probably write 101 posts describing New York City and never quite get it right. But today, I’m whisking us away from the chaos (even if it is the life of the party) and kicking off our trip with some relaxing small towns in New York. 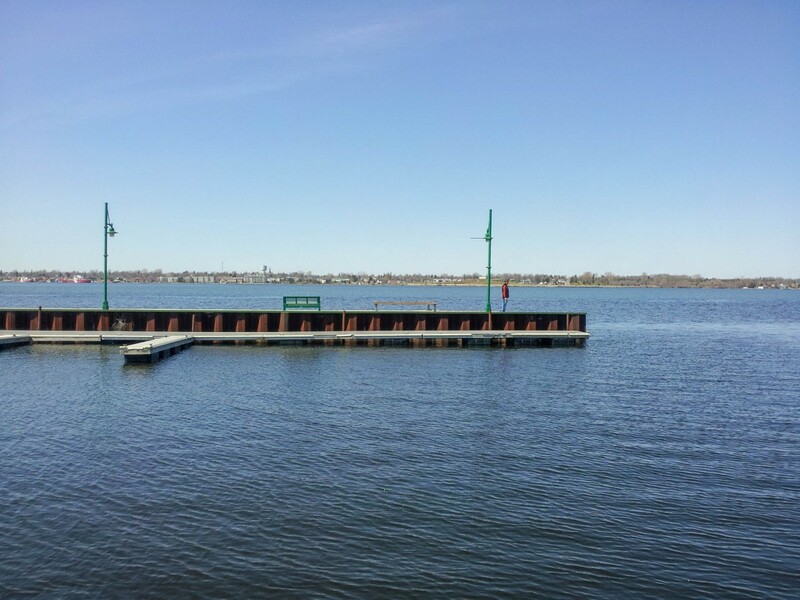 Ogdensburg is a quiet small town banked on the St. Lawrence River. 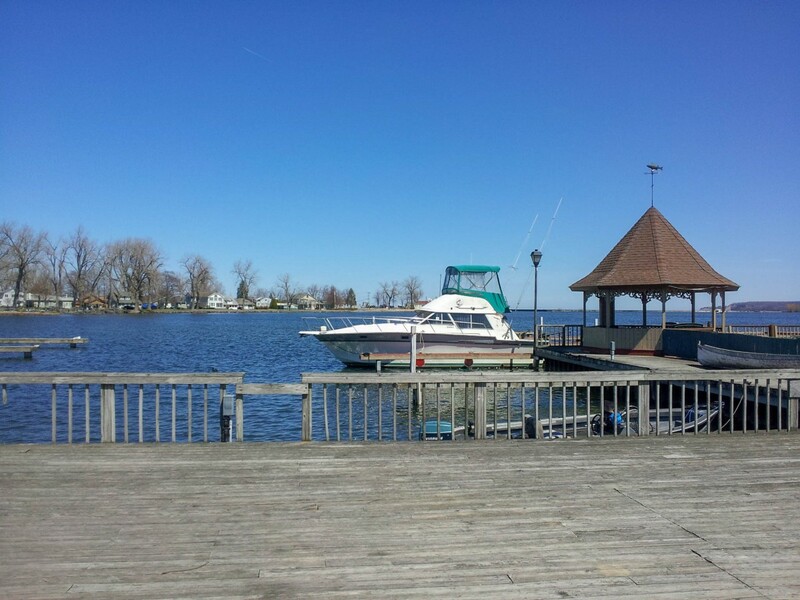 From uninhabited islands to wineries, Ogdensburg’s fun lies in its laid-back pace. It’s a slow-to-uncover town, more Agatha Christie than Truman Capote. The highlight is the Frederic Remington Art Museum (though I may be biased because I live in Texas and Remington specialized in Westerns). When I first read Legend of Sleepy Hollow, I thought the town was fictional. And when I discovered it was based on a real place in New York, I expected a spooky, eerie town that would match the tone of Washington Irving’s gothic horror descriptions. Sleepy Hollow is a fairy tale town, pretty as a picture. 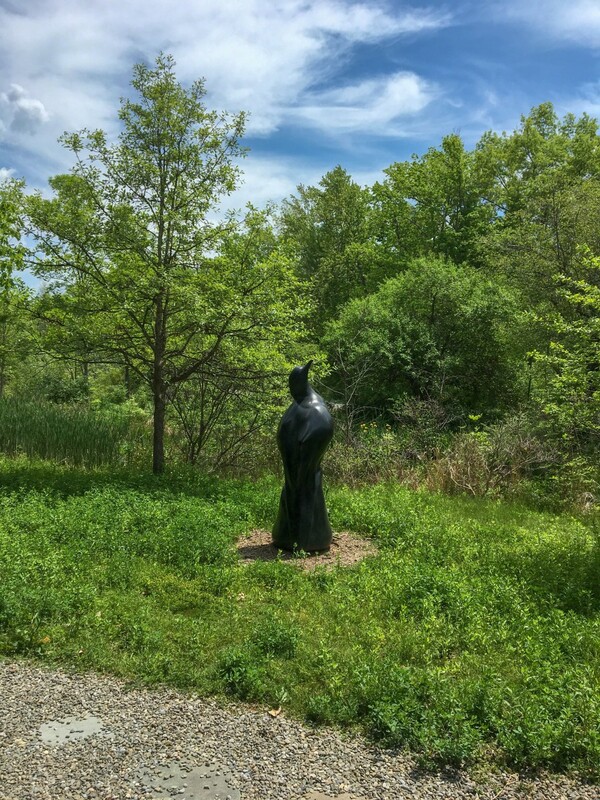 Visit Kykuit, the former Rockefeller Estate now art gallery, and then tour Philipsburg Manor. And if you’ve read the story, I completely understand if you don’t stay the night. I certainly didn’t. Nedrow is a hilly hamlet fifteen minutes from Syracuse. 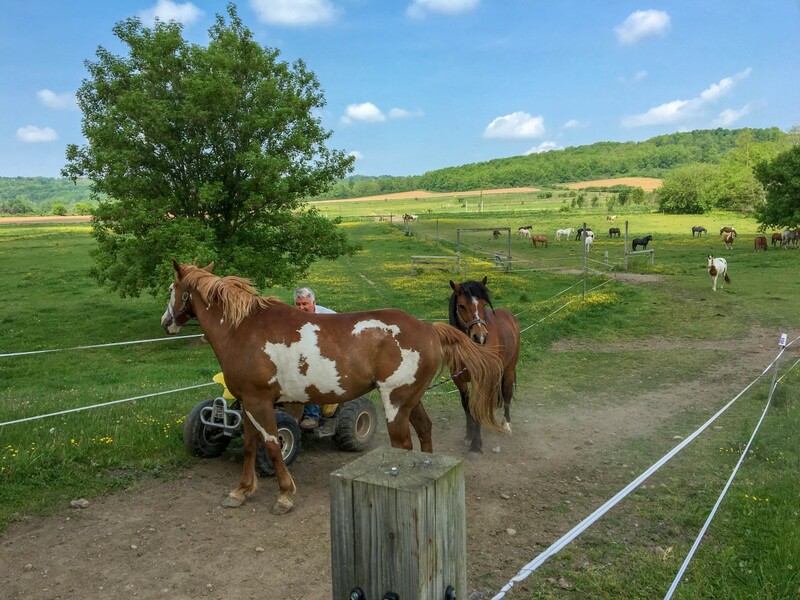 Inner Nedrow looks a bit like a ghost town so head to Quarry Ridge Stables for charming views and a relaxing mountain-trail horse-back trot. 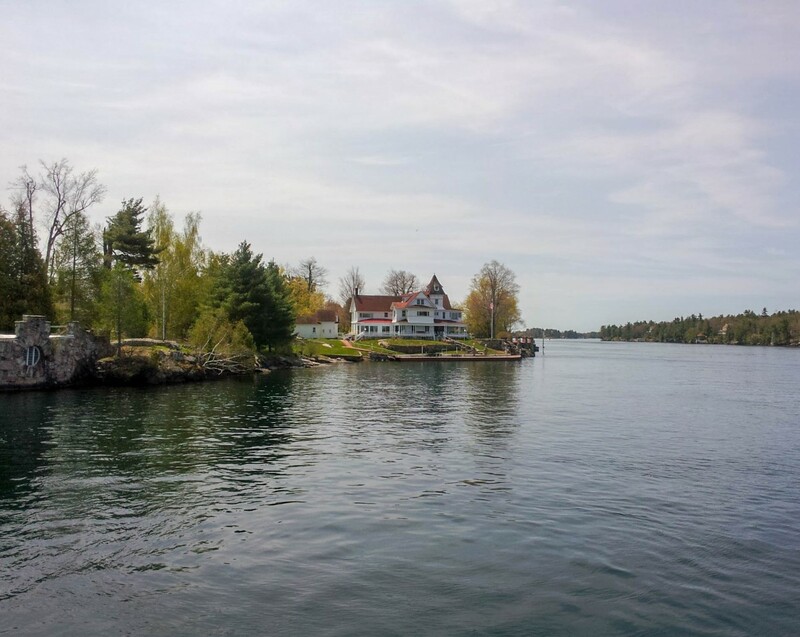 With stunning views of Thousand Islands, Alexandria Bay quickly stole my heart. A quirky tourist town, this former road trip stopover city is now pure charm. Eat the seafood. Stroll through the boutiques. Take a quick day trip to Boldt Castle. A town stomping in character, Cold Spring beats to the drum of its restaurants, shops, and historic hotels. Stroll past ivy-covered buildings, kayak the Hudson River (snap some pictures of Bannerman Castle), and just slow-sip all the charm. Cold Spring is one of the most accessible small towns in New York, just a stop from Grand Central Station. 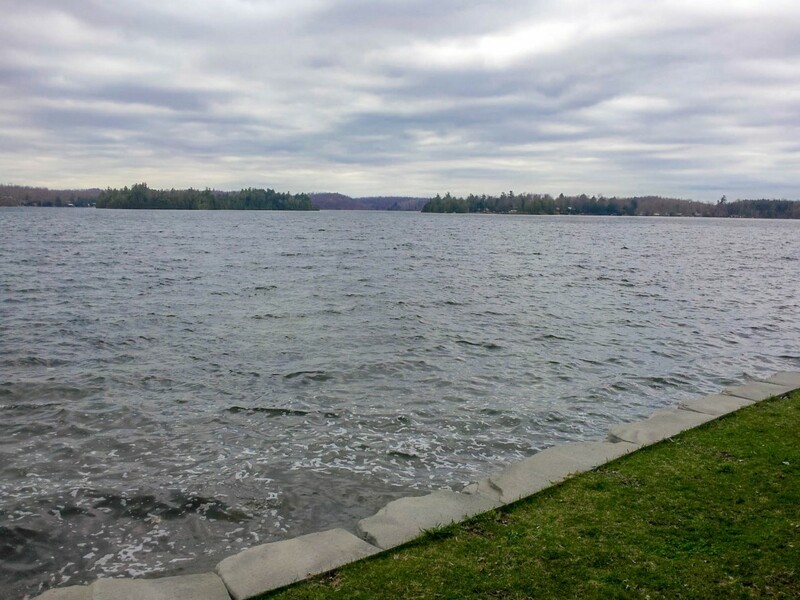 When I first discovered New York has over 7,500 freshwater lakes (a few months ago), I skipped, jumped, hopped, and danced while no one was looking. My excitement levels rocketed through the roof and probably entered another galaxy. To be fair, Texas has one natural lake (Caddo Lake) so it’s been a while since I’ve seen an authentic lakeside town. 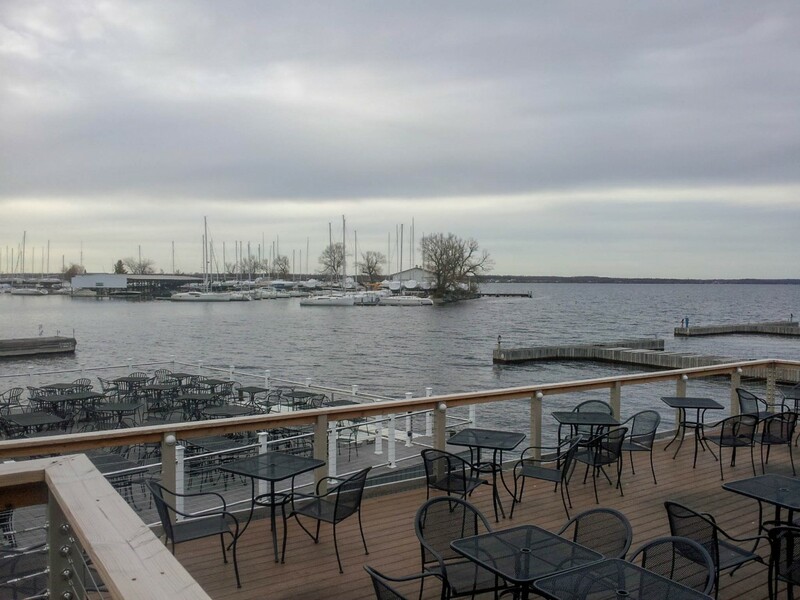 After checking into an upbeat bed and breakfast, explore Sackets Harbor’s nightlife scene. Peppered with late-night gastropubs, Sackets Harbor has a heavy beer culture. 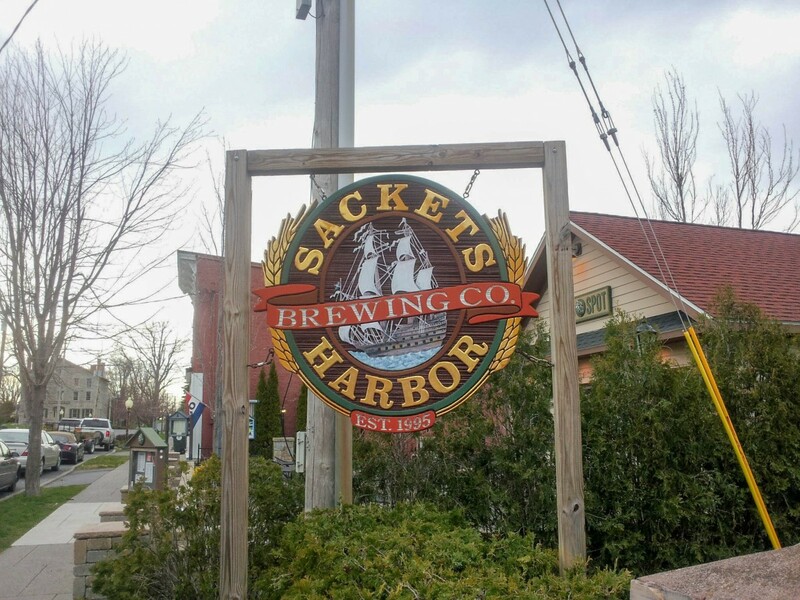 The most picturesque bars in town are Sackets Harbor Brewing Company (set in a former train station) and Sackets Boathouse (all American food with classic Florida drinks). Travel Tip: For a quiet, upscale Blair Waldorf style brunch, head to Tin Pan Galley. Old Forge is the best reason to visit Webb. Blanketed by snow in the winter, the town turns into a thick sea of white. The picturesque pond (also called Old Forge) gently ices over. The entire town looks like a typical Bob Ross winter wonderland. Travel Tip: If you enjoy skiing, head to one of the many ski resorts (or if you’re like me, just sip hot chocolate in front of the fireplace). 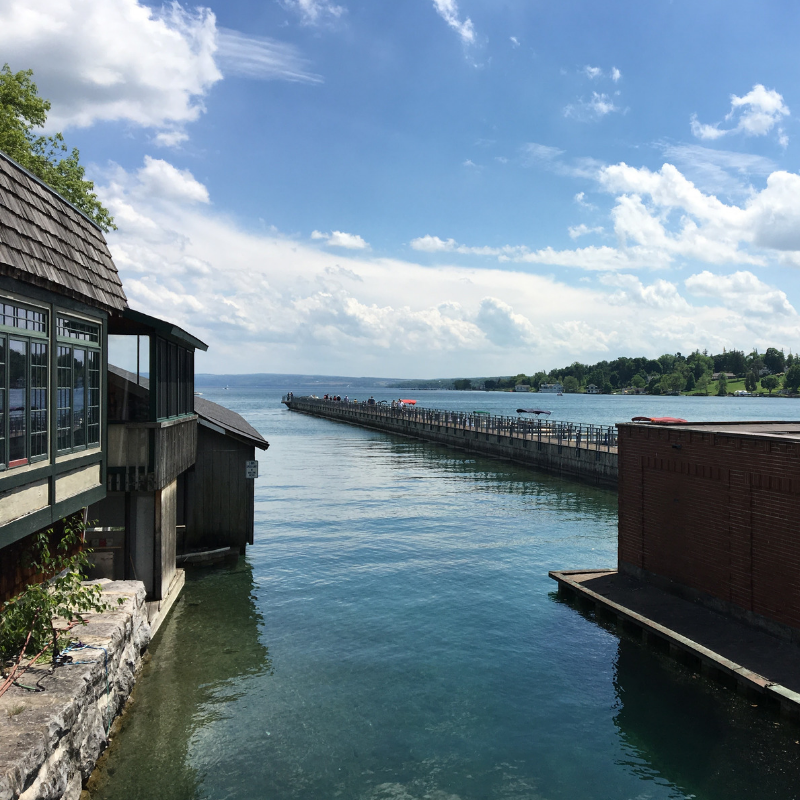 One of central New York’s most popular summertime hotspots, Skaneateles is a buzzing vacation destination. But with mouth-watering lakeside grub, picture-perfect parks, cozy historic homes, and timeless boutiques, the town deserves the hype. The site of the 1932 and 1980 Winter Olympics, Lake Placid is also home to Mirror Lake, a charming clear-water body spanning over 120 acres. Close to the banks of Mirror Lake is the Lake Placid Olympic Museum, currently the only Olympic museum in the United States (there is another slated for opening 2020 in Colorado Springs). A lakeside town with rolling plains and wineries, Geneva is perfect for Hyacinth Bucket approved riparian entertainment. 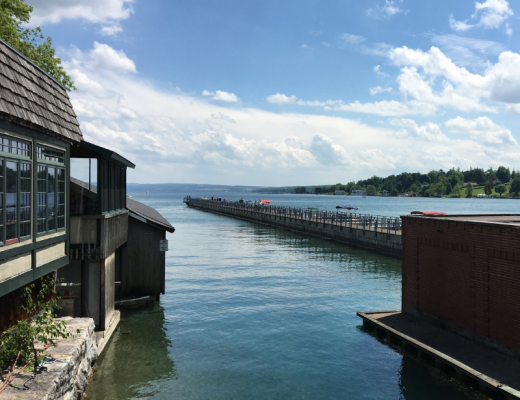 Located on the northern tip of Seneca Lake, Geneva’s wine scene is dunked in an old-world European style beautiful. My favorite winery turned out to be Belhurst Castle and Winery, a lakefront resort with sweeping views. A quiet lakeside beach ideal for sunbathing (you can’t actually swim in the water), Sylvan Beach has always been a popular local getaway. With quiet camping grounds, bustling farmer’s markets, and buzzing marinas, the town is the perfect family-friendly outdoor escape. The color of Owasco Lake is unreal. You may not believe me when I say this picture is not edited at all (this is a raw photo), but it’s true. 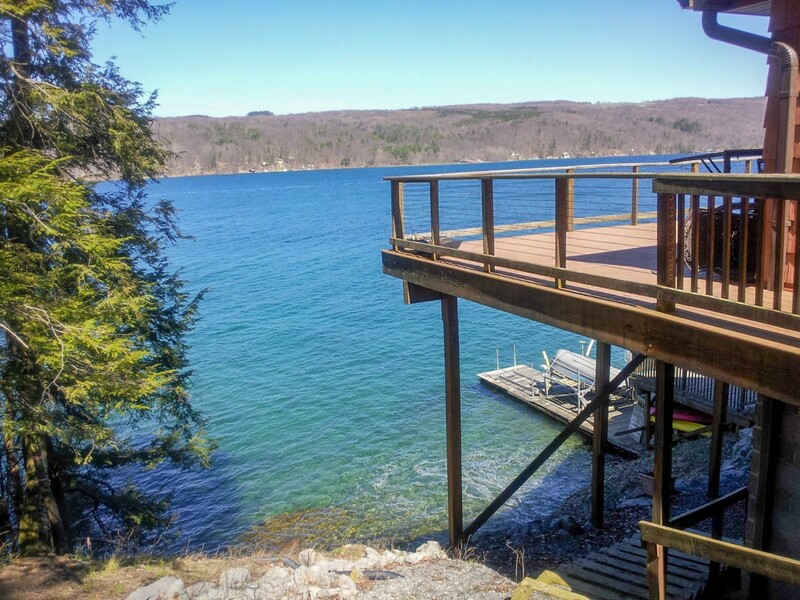 The northern end of Owasco Lake is a dreamy blue. After kicking through some lakeside activities, opt for a self-guided historic homes tour. At the heart of Auburn is everything from the Seward House Museum to the Harriet Tubman House. Fort Stanwix fell on my radar after reading Grace Lin’s Year of the Rat. I was seven years old and the story of an immigrant family trying to make roots in a new world tugged heartstrings (I had just moved to the states from Jamaica). I don’t have the book with me anymore but I distinctly remember Grace Lin describing Fort Stanwix as a “porcupine”. After visiting Rome (twelve years later), I can sincerely say that description is perfectly accurate. 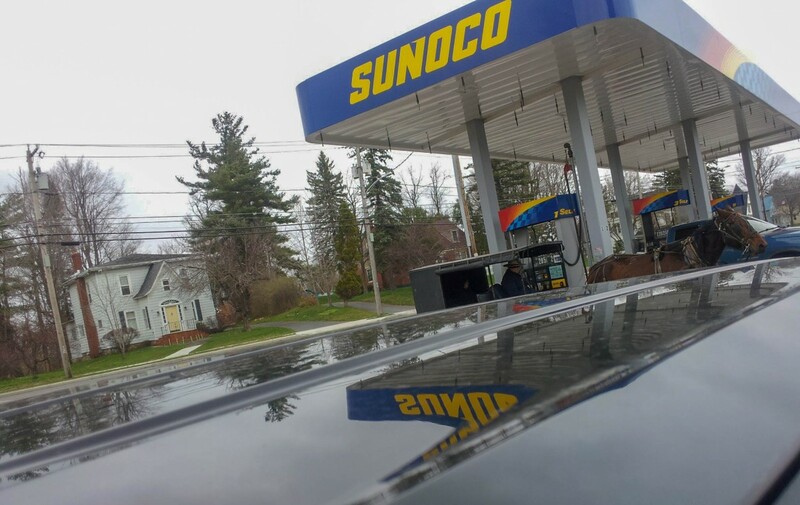 A tiny village in a town of the same name, Sodus Point is known for its lakeside sunsets. Visit the Lighthouse Museum. Then head to Beechwood State Park to see the ruins of an abandoned Girl Scout Camp from the 1990s (very Cabin In The Woods). Travel Tip: If you’re planning on visiting Beechwood State Park with kids, please be careful. Several glass shards from the abandoned camp remain. Also, read the news before visiting. Beechwood goes through waves of being “not safe for tourists” and “safe for tourists”. For winter adventures, there’s no better place than Lake George. The highlight is the ice bars, pop-up winter drink stands crafted from ice. If you’re visiting in the summer, head to Million Dollar Beach, a cozy picnic-worthy stretch. Historic small towns are usually my first stop but in New York, they took a backseat. Why? All the best small towns in New York have some historic element. It’s hard to classify one as truly more historic than the other because they all played some major role in history. I definitely did not do Ithaca justice during my short stay there, but even though my visit was brief, the town managed to blow me away and leave me hungry from another visit. From Ithaca Falls to Cornell Botanic Gardens, Ithaca’s natural and man-made beauty are equally astounding. Watertown is a cozy, stopover town. There isn’t much here, just a few shopping outlets and chain stores. But if you’re passing by in the fall, head to Burrville Cider Mill for some of the best cider donuts in town. Gouverneur is a classic old-world small town. Fondly called “Marble City”, Gouverneur’s historic Main Street is laced with local marble. It’s a cozy town – extremely quiet. In the fall, the buildings’ warm undertones come to life. If you’re looking to see history beyond the museum, head to the stony 19th century Gouverneur Public Library. Sitting on the bank of the Oswegatchie River is Harrisville, one of the larger small towns in New York. Harrisville is sparse, not dense, but it still makes for a cute day trip. From visiting the Town of Diana Historical Museum to walking through Baker Woods Preserve, there’s surprisingly plenty to see and do in Harrisville. Antwerp feels like a ghost town. Old buildings, stained brick, and torn panels are forgotten remains of once gorgeous historic buildings. The town seems lost and broken but that’s its charm. Antwerp is strangely beautiful. 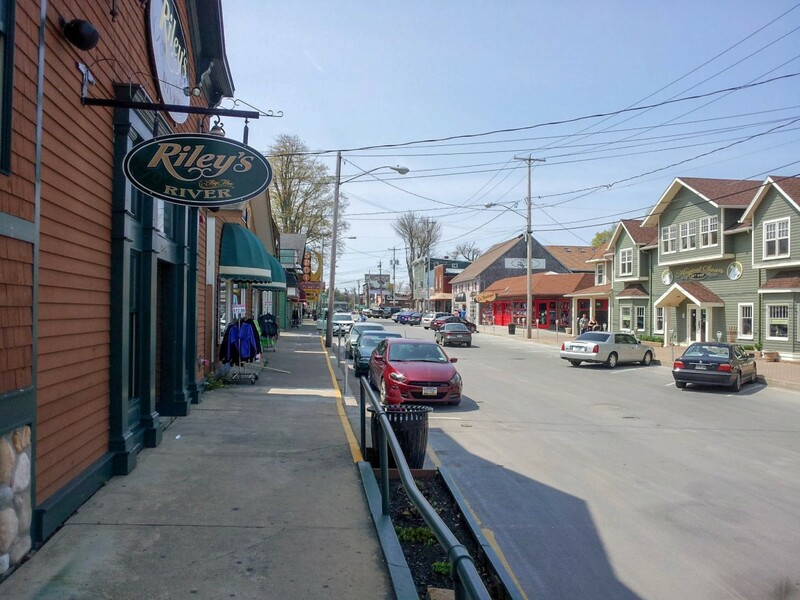 Did you enjoy this post on the best small towns in New York? Have you ever visited any of these places? Would you like to? Let me know in the comments below! These small towns are the USA I’d like to visit. You’ve inspired me to make that happen with this post. Great and informative piece of writing. Courage! Amazing! Can’t wait to take trip to New York, thanks for the postings! Great post! I would love similar one from NJ.